KAMPALA – High Court Judge Margret Tibulya has declined to release on bail Ms. Angella Vivienne Chebet who is facing charges of money laundering and obtaining more than UGX20.9 billion from a shoddy gold transfer deal. In her ruling read by the Chief Magistrate at the Kololo-based Anti-Corruption Court, Ms. Pamella Lamunu, the judge stated that given Chebet’s history of jumping bail in Sweden; she could not risk releasing her on bail without a guarantee to her court that the accused will return for trial. The judge also found Ms. Chebet’s five sureties including her niece, paternal uncle, elder sister, and two friends as not economically viable to pay the monies owed to her (Chebet) once she absconds. “The number of sureties one presents to stand for him/her is not important but their ability to pay the substantial sum involved is what matters. This case involves a huge sum of money which this court cannot just overlook,” Justice Tibulya ruled. “Looking at the occupations of the applicant’s sureties that range from being commercial farmers to businesswomen dealing in garments, I am not satisfied that they are substantial enough to raise the UGX20.9 billion owed by the applicant,” she added. Ms. Chebet had applied to be released on bail pending the hearing of her case on grounds that she is a single parent to her two infant children following the arrest and detention of their father SK Mbuga in Sweden on related charges of fraud. Ms. Chebet is on remand at Luzira Prison over fraud in connection with defrauding millions of shillings from a Swedish national. She was charged but she denied six counts of obtaining money by false pretence and money laundering. It is alleged that on April 7, 2015, in Kampala, with intent to defraud, Ms. Chebet obtained UGX152,810,000 from Mr. Sten by falsely pretending to facilitate a gold deal or transaction whereas not. The State contends that on April 13, 2015, Ms. Chebet obtained UGX167, 595,200 from the said Sten pretending to facilitate another gold deal, and that on May 28, Ms. Chebet allegedly obtained UGX107.6m. On the same amounts of money, Ms. Chebet is charged with money laundering where it is stated that on April 7, 2015, she intentionally acquired the money on her Barclays Bank account from Mr. Sten knowing at the time of receipt that the funds were proceeds of crime. 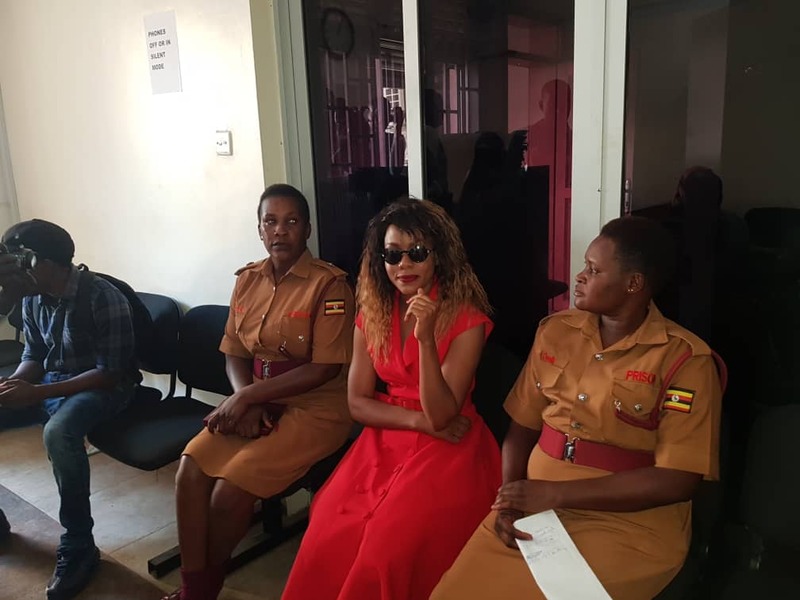 Consequently, Ms. Chebet has been taken back on remand at Luzira Prison until March 27 when she returns before court for the mention of her case.